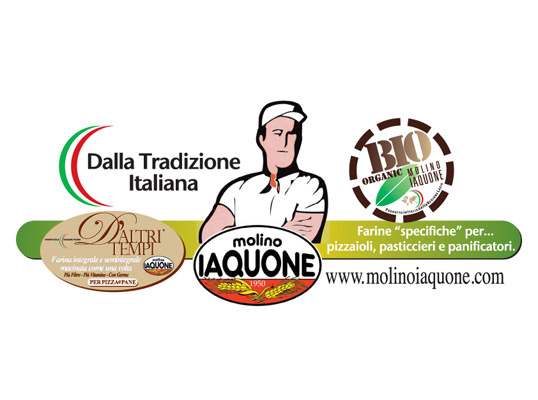 The “Molino IAQUONE” was born and produces in the green and uncontaminated Valle di Comino near the National Park of Abruzzo, already working land of the Neapolitan Kingdom of the Bourbons and on the border of the Kingdom of Popes, the 2 Neapolitan and Roman markets, to which we give particular attention since forever. 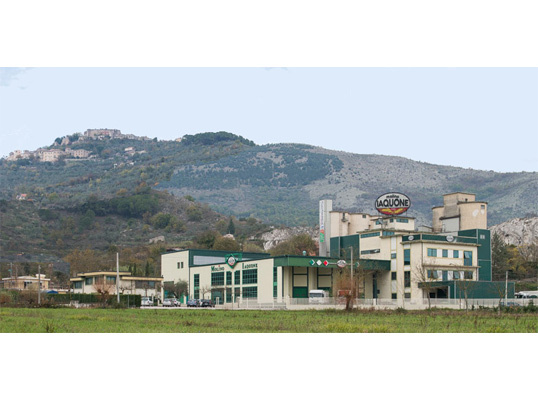 The founder Rocco Iaquone started in 1950 with the stone milling, which is still used for our 5 flours “D’Altri Tempi”, then followed the natural transformation into a cylinder mill. The ancient culture of milling was then enriched by the PIQuDi Research and Development project (High Quality Italian Pizza and Digestibility) in which the great technical work carried out by various associations and by maestri pizzaioli, professional artisans of the bread-making world, fresh pasta, pastry meets with the art of selection, processing and mixing of the infinite variety of grains, alternative cereals and natural ingredients such as sourdoughs. 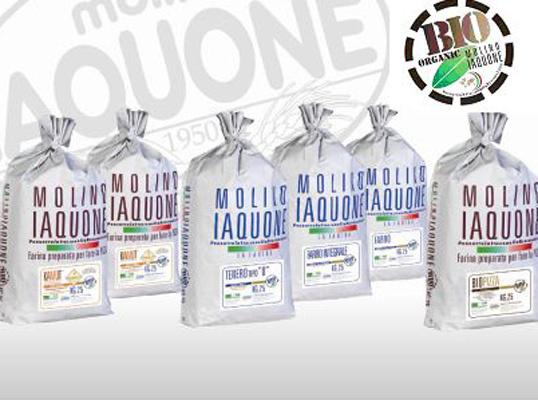 A modern rheological laboratory and a center for technical tests and training complete the Molitoria IAQUONE structure, guaranteeing the consistency of our products and contributing in a fundamental way to research and development. 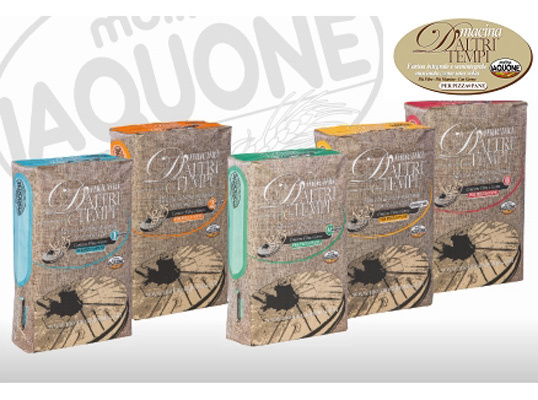 Verace Pizza Napoletana, Taglio e Tonda alla Romana, Pinza, pizza in pala, focaccia pugliese and genovese, fried pizza, spelled pizza, kamut, gluten free, biological pizza and from stone grinded flours, IAQUONE with more than 50 professional products (flours, mix, ingredients) offers the ideal solution suitable for every artisan needing. 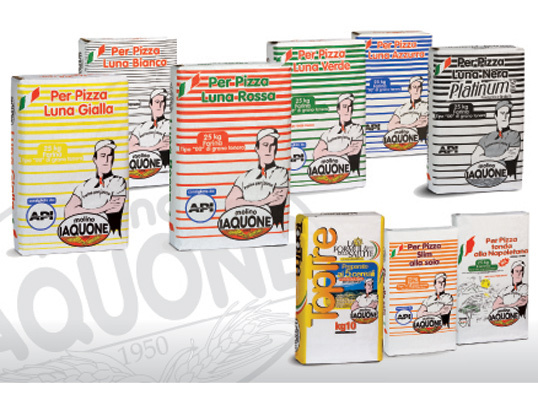 Iaquone products are distributed by 90 companies specialized in catering in Italy and 40 countries in the 5 continents.